Wasps Nests? Where in Fife Have You Found Yours? Hello everyone, it’s that time of year again; the queen wasps are out of hibernation and setting up house for the new season. In many situations their new home may be somewhere very close to you here in Fife. And, where would you look to find wasps nests? 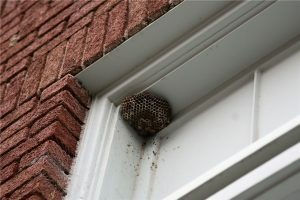 You look up at your windows, or look for any holes in your brick work where you might see wasps taking off and landing from. Active Pest Solutions have had a few calls already, where we weren’t expecting to find any wasps at all. Some wasps arrived at the end of May, which is just a wee bit early for them. As it turned out in most situations the threatening villains were not wasps at all but long slim bees called Masonry Bees or Miner Bees. Masonry Bees are long and thin like wasps but are usually darker in colour, often appearing predominately black but with some slightly paler colouring, possibly brown They will often be seen popping in and out of holes in walls or little air vents etc. Miner bees live individually in holes in the ground and are again a bit darker in colour and also have the long thin shape characteristic of wasps. If you do have these insects please don’t call for Wasp Control as pest controllers will generally try to discourage you from getting rid of them. These types of bees are not aggressive and usually disappear by themselves after a few weeks. Wasps on the other hand, are as most of us already know, are very distinctively dressed in black and yellow strips. They will enter holes in walls and holes in the ground, but by the time most people start to notice them, they are going in and out on mass, building and developing often a huge colony of wasps, numbering between 3000 and 5000 individuals. With the rise in the number of wood burning fires queen wasps are often found sculpting their bikes (NESTS) out of the plentiful wood supply from the logs, or even from the wood store itself. The wasp nests are also regularly being built actually in the wood store, so beware! Other places wasp tend to build their nest is in the eaves of the house at gutter level, in the shed, in air bricks, around window frames or doors or in garages. Bushes and hedges are popular, as is under tiles or slate leading to the attic space. I just about forgot, you should also check your child’s playhouse or slide if there is a cover over the top of it. There are many more places where wasps nests could turn up. 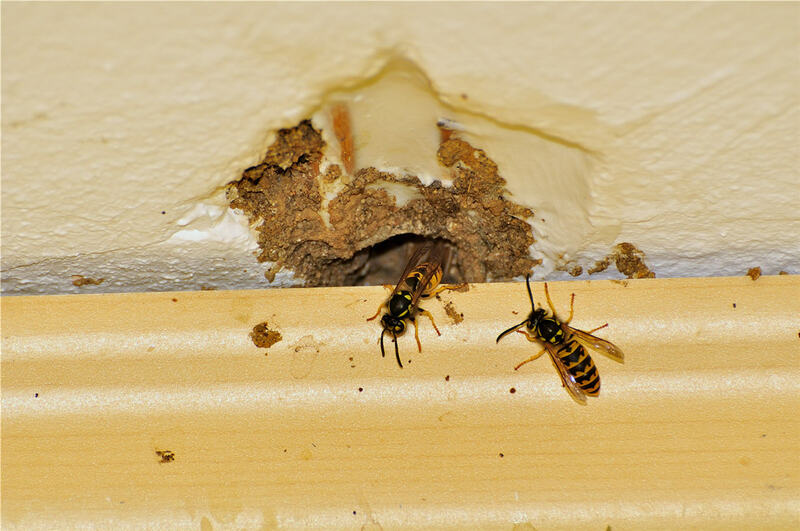 ACTIVE PEST SOLUTIONS 07764768151 – we have been getting rid of wasp nests for over 16 years. We are also Members of the FIFE TRUSTED TRADER SCHEME and the PERTH COUNCIL similar scheme called THE BETTER BUSINESS PARTNERSHIP.